Congress president Rahul Gandhi gave bizarre answers to students while he was on a visit to a government school. During his interaction with school children in Amethi, one of the girl students asked: The government has enacted many laws but why are not they properly being implemented in the villages? Rahul smilingly replied: "Yeh aap Modi Ji sey puchiye. Meri sarkar thodi hi hai. Jab hamari sarkar hogi tab hamsey poochna (You ask this question to Prime Minister Narendra Modi. My government is not there. You should ask this question to us (Congress) when our government comes into power)." The Congress President's answer was supposed to invite laughter and it did so. 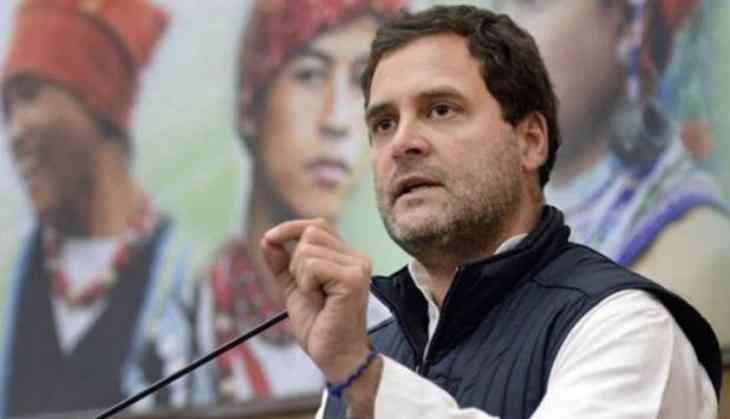 It is not clear whether Rahul knowingly or unknowingly gave this answer as everybody knows that the Parliament enacts laws and many of them are implemented by the state governments and not by the Union government. "Nahi-Nahi. Amethi ko toh Yogi ji chalate hain. Mai to Amethi ka MP hoon. Mera kaam Lok Sabha mey kanoon bananey ka hai. Magar Yogi ji kaa kaam UP ko chalaney ka hai aur Yogi ji doosra kaam kar rahey hain. Bijli kaa kaam nahi kar rahey hain, paani ka kaam nahi kar rahey hain, Shiksha ka kaam nahi kar rahey hain aur krodh faila rahey hain. (No! No!. Yogi governs Amethi. I am MP from Amethi and my work is to enact laws in the Lok Sabha. It is responsibility of Yogi to govern UP but he is busy doing something else. He is not working on electricity, water, education and spreading anger," Rahul replied and walked away while the students wanted to ask more questions. Earlier in the day, Rahul began his three-day visit to Amethi and Raebareli in Uttar Pradesh today. His mother and former Congress president Sonia Gandhi is the Member of Parliament from Raebareli.